Family run business, Stacey's Auctioneers has been offering fine art and collectables through their saleroom for the past 69 years. 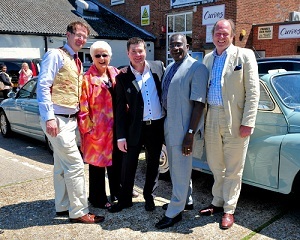 Based in Rayleigh, Essex they hold monthly Antiques and Collectables sales along with regular specialist auctions and often feature on television programmes such as BBC's Flog it!, Antiques Road Trip and Put your Money. 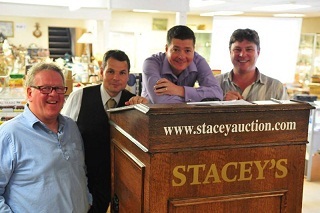 First established in 1947 the auction house is now into its third generation of Stacey's with auctioneer brothers Mark and Paul at the helm. 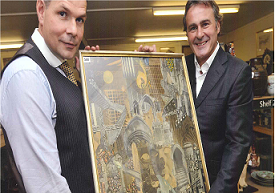 Having both been brought up in the world of antiques and enjoyed careers in prestigious London auction houses, they are proud to be able to continue the family saleroom together with their team of dedicated and professional staff. Offering a high quality and personal service their monthly auction sales are conducted over two days with three days of viewing beforehand. The sales consist of a variety of antiques and collectables which are split into specialist categories to include Jewellery, Silver and Coins, Oriental, Ceramics, glass, Militaria, toys and Objet D'Art. They also hold intermediate Specialist sales throughout the year in jewellery, watches, toys and football memorabilia which have proved popular with both vendors and buyers who are attracted from all over the world. Stacey's prides itself on being able to give maximum coverage to all of the sales in the form of advertising with trade and local press, regular social media updates, customer email alerts and a monthly newsletter, along with producing a colour illustrated catalogue with high quality images which is sent out to potential clients in the UK and abroad, this catalogue also being available online and accessible at least a week before the sale. Modern auctioneering has also become more internet based with live bidding allowing clients to bid from the comfort of their own homes. 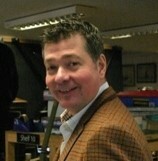 Stacey's Auctioneers embrace any opportunity that allows their clients an easy and enjoyable auction experience so is happy to offer two online bidding services via the-saleroom.com and bidonthis.co.uk alongside the traditional bidding methods of leaving a commission/telephone bid or attending the sale in person to participate in an exciting live auction. 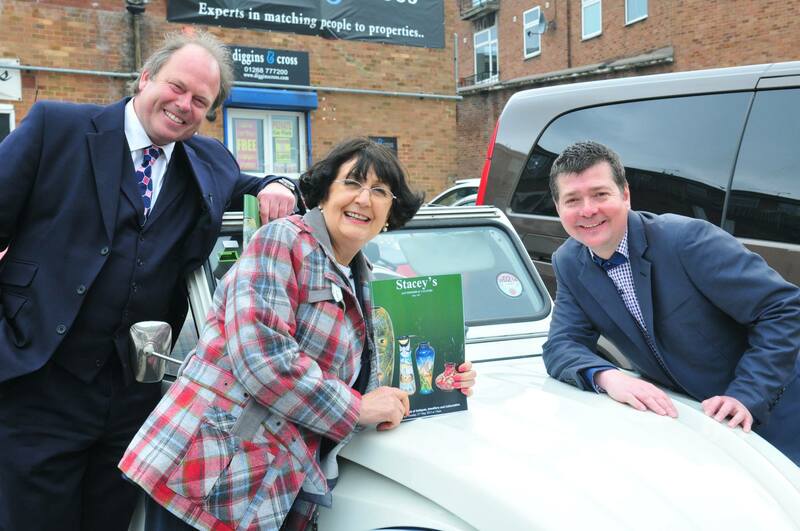 Aside from the regular monthly sales there are a wide range of other services that Stacey's offers to their potential clients including probate and insurance valuations, houses clearances and twice a month the saleroom opens its venue doors to offer free of charge valuation days to members of the public. Stacey's Auctioneers thrive on delivering a high quality service by constantly endeavouring to make the auction process as effortless and pleasant as possible for their clients. 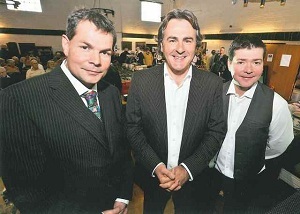 Having built an excellent reputation in the auction world they are equally as passionate about antiques as they are about their family run business.